There has been plenty of debate regarding the best young quarterback in the NFL today. Aqib Talib feels that distinction should go to Jared Goff. It may seem like Talib is just being a good teammate, however, there is certainly plenty of truth to his comments. He also attributed the presence of head coach Sean McVay to Goff’s success. There is no question that the former No. 1 overall pick’s career got off to a rough start. Fortunately, he now has a supporting cast that has helped him establish himself as arguably the most promising, young quarterback in the NFL. Of course, there are other quarterbacks that are also worthy of this distinction. Among them is Patrick Mahomes. Carson Wentz and Deshaun Watson have also been thrown in the conversation. 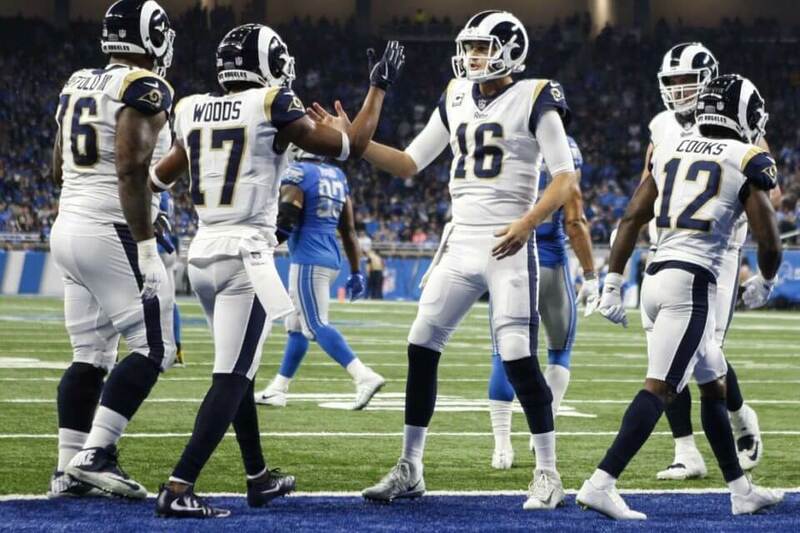 Although an argument could be made for any of these players, there is no question that none have been as consistent or reliable as Goff over the last two seasons. Mahomes essentially sat out his entire rookie campaign while serving as a backup to Alex Smith. Wentz and Watson have missed some serious time after suffering devastating knee injuries last season. Meanwhile, Goff enjoyed a breakout performance in 2017 and has since followed it up with an MVP-caliber season. Regardless of which quarterback earns the title, there is no question that the new era of signal-callers is in good hands.